I'm in total denial about it being November (tomorrow). How can this be? I really need at least 3 more weeks before we slide down the slope of the winter(ish) holidays. Here are some random things I've been thinking about. Not all books translate well into the audiobook format: I have audiobooks on the brain these days as I prepare for the Audio Publisher's Association webinar, airing live on Wednesday night (see below for information). As much as I love audiobooks, I had to bail on one last week because the book should have never been recorded. What was it? 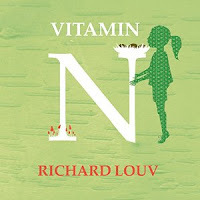 Richard Louv's Vitamin N (published by Ecco last April). First let me say that this is a fantastic book, consisting of a ton of great ideas to get yourself and your family outside on a regular basis. Almost all the suggestions are free and take very little planning. Louv also provides useful resources: websites, societies, clubs, and more. I was given the chance to listen to the audiobook and thought I'd give it a try. Well, noooo. 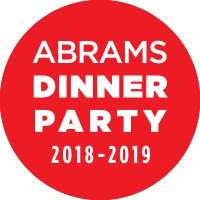 Narrator Barry Abrams is good, but no one in their right mind would listen to hours of a person reading a long list of activities, complete with URLs. Ugh. Do not hesitate to buy or borrow the book (it's terrific), just leave the audiobook alone. I remember questioning the fact that Miss Peregrine's Home for Peculiar Children was made into an audiobook. I never listened to it, but I wonder how the narrator handled all the photographs. So that makes two sorts of books that I would avoid on audio: those meant to be used as resources and those that are highly visual. Any others to add to the list? Losing track of series: I just finished listening to N. K. Jemisin's The Obelisk Gate, which is the second installment in the very interesting Broken Earth series. I'm also in the middle of Gemina, the second in the Illuminae series and just started The Fate of the Tearling, the final in a trilogy. From this list, you would think I was really great with series, but you would be wrong. I have started so many series--mostly fantasy and mystery but also historical fiction and general fiction--that I never got around to finishing; heck, that I never even got around to reading book 2. If you have any tips on how you keep track of your series, I could use some help. I know my problem is based on having to wait a year (or years) until the next book comes out. By then, I've totally forgotten where I am in the plot. I hope I'm not the only one who has trouble following a series through to the end. Coming up this week: Besides the audiobook webinar, November kicks off a couple of events, two of which I'm promoting this week. First is Jewish Book Month. 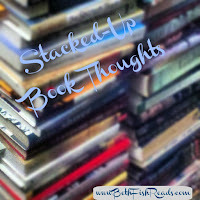 Tomorrow, I'm featuring a good book to start with and hope to have a list of some recommended books posted next week. November is also the ever-popular nonfiction month, and later this week, I'm going to post a list of some recent nonfiction titles that have caught my attention. 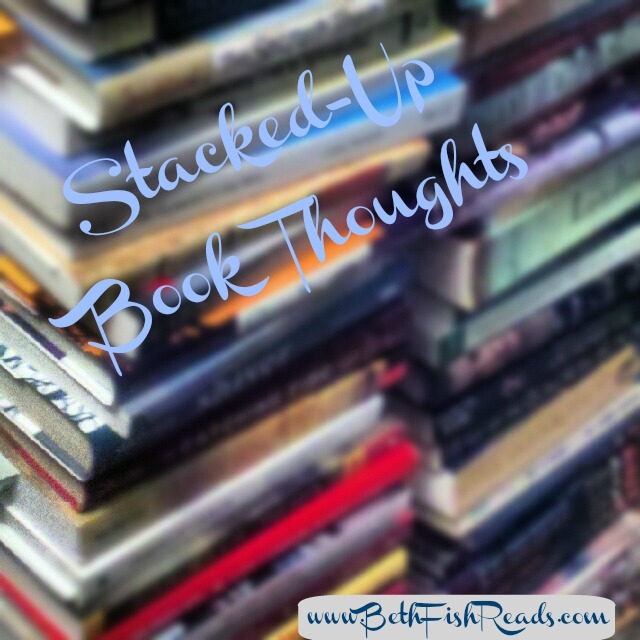 If you're not normally a nonfiction reader or if you want to diversify your reading by checking out some books with Jewish themes, this is the month to try something new. Audio Publishers Association (APA) webinar: On Wednesday, November 2 (8:00 to 9:00 pm Eastern time), I'll be joining AudioFile Magazine editor-in-chief, Robin Whitten; assistant manager of operations & marketing for Hachette Audio, Mitch Kelly; and narrator Karen White for a webniar about reviewing audiobooks and spreading the love of listening across social media. 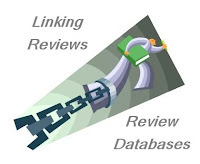 We'll be giving tips for writing a good review, for working with audiobook publishers, for connecting with others on social media, and more. Participants will also have access to resources, such how to request review copies of audiobook, where to buy or borrow audiobooks, and technical information about enhancing your blog posts. You'll also be able to connect with audiobook publishers who can help you get review copies, arrange interviews with narrators, and so on. Although the focus is on blogging, the webinar also recognizes that audiobook lovers share their thoughts on a variety of platforms, like Goodreads, Litsy, and LibraryThing. Thus don't be put off if you don't blog, I think you'll still find the webinar useful. If you can't make it to the live webinar, but are interested, you should sign up anyway. That way you'll be able to listen to the event at your convenience and have access to the resources. For more information, including the specific time of the webniar, click through to the APA's website. Let me know what you think. And, as always, tell me what you're reading or listening to this week. I read a wonderful and surprising picture book with Jewish themes this week (though I haven't yet formally reviewed it) called The Sundown Kid. Maybe you will read it, too. I just read The Fate of the Tearling, but of course I couldn't remember much from the first two and didn't feel like rereading, so I had to go to a recap site first and read the recaps of the first two books. The recaps weren't as good as those for some other series, however. But they gave me background for most of what was going on. Totally agree with your thought on audiobooks! I listened to Dataclysm by Christian Rudder and it was a mistake. Trying to verbally read tables and pie charts on audio does not make for good listening. Glad to hear you're going to do some nonfiction this month! The event is officially on - come join us (I'm co-hosting this year)! I think you're right in saying some books should just never get recorded... especially one that relies so heavily on visuals. We've talked about it before, but for most nonfiction audiobooks, I almost always get a print copy, too, just so I don't miss anything - photos, charts or graphs, maps, etc. Vitamin N sounds like a great resource, but unfortunately not a great audio. I'll look into the APA webinar. Thanks. Interesting point about some books not being ideal for audio. I had not thought of that much but I think I agree. I can definitely say the one you mention - Vitamin N- I can see that being way too monotonous! No matter how good the narrator is. The webinar sounds great, good luck with it! I don't listen to a lot of audio as I tend to get distracted, but I would like to listen more. I agree about the audio books. I like listening to them in the car, but some are more difficult to concentrate on than others. I agree that some books don't translate well to audio. Yeah, highly visual books are not my thing for audio either. Even the new Eowyn Ivey was great on audio, but I wish I had got to see the pictures. I am also terrible with series, so you are definitely not alone! I've seen Miss Peregrine and The Hollow in audio form and wondered how that worked as the photographs were such a huge part of my reading experience. I recently listened to a book that didn't work for me and I wonder how much of that was because I went with audio. There were a lot of emails and schedules and things that might have worked better read but more than that was I just didn't think the narrator's voice fit the book and the characters. I'm useless in keeping up with series. I usually prefer to read them all pretty close together but reviewing has messed with that as I tend to read closer to pub dates now. I tend to avoid a series that has too many details to keep up with and then just hope for the best! The webinar sounds fascinating! Audiobooks are tricky. I have trouble listening to books before I read them, so I mostly only buy/borrow ones I have already read. I find that books with a lot of dialogue between many characters need a really good reader to be good in audio versions - some readers use the same voice for all the men and another for all the women, and they all begin to blur into one. I hate that. I remember trying to listen to The DaVinci Code in audiobook form and giving up because the reader made the heroine sound so shrill it hurt my ears to listen to it. I also remember an audio version of These Old Shades by Georgette Heyer that had a reader who made the Duke of Avon (the book's hero) sound frail and about 90 years old and made a couple of supporting characters sound like they were in a 50's slapstick comedy. Ugh! My solution to keeping track of book series is to not start reading them until there are several books out, and then to read them slowly and spread over a long time. Even better, I wait until the series is complete and then start reading. I am not a fan of audio, although I have only every listened to a children's book in the car with my granddaughter...years ago. But I know that I need to "see" the words in order for them to stick. Plus, I can read a book faster than I could listen to one. Just a preference, I guess. I use FictFact to keep track of my series (FictFact.com). You can check off what you've read and be alerted to the next book as well as when new releases will be available. you know i am a recent convert to audio books ... and i am hoping to listen to some books and read others ..
as to keeping series straight .. sometimes the length of time between books is overly long, i suspect its got to do with release of paperback of the existing volumes vs release of new hardcover volume BUT its frustrating ... with the last installment of Cronin's Passage trilogy City of Mirrors it had been so long in between books i had really forgotten most of what i read AND in fact confused Cronin's finale with the last book of Yancy's Fifth Wave series!!!!!!!! So funny we both wrote about series - Jinx! I think Charlie at The Worm Hole wrote about series today too.I like FictFact for tracking my series but it's only as good as my maintenance. I also wish there was a way to mark a series as abandoned there. 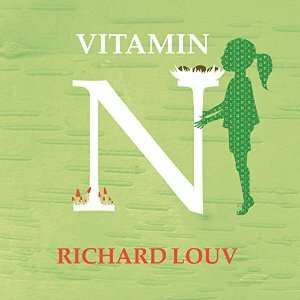 Wow - who thought that Vitamin N would make a good audiobook?? Looking forward to your recommendations for Jewish Book month. Hope your Webinar goes well - the timing doesn't work for me to join live but I might sign up and listen later. I'm very picky about audio books. If the narrator doesn't suit my ears, I can't keep listening. I agree with you about highly visual and resource books are not great audio choices. I agree with your about audiobooks. There are some that are fantastic and others that just don't...work. I'm not a fan of fiction on Audio UNLESS I've already read it (I do think it is great for re-reads and I'm currently doing my Good in Bed "reread" on Audio). However, I think that is more due to my attention--or lack thereof--than the books. I really wondered about Miss Peregrine on audio as well, but I know people who have listened to it and enjoyed it. Totally get your point on audiobooks and some never being made into one. OMG an ongoing list of urls!! Yes series can be difficult to track and remember one from the other, so I only read the ones I love!! It can be good to read them once they are all published too - that's if you find you like them. I like the sound of your audio webinar - have registered! I am hoping to attend the webinar. So true about some books not translating well into audio. I would love a way to keep track of my series! I'm horrible with series too. It's hard to maintain an interest in them over a long period of time, as you said, unless I'm SUPER into the plot. But even with long-running series with a ton of titles I can binge-read, I usually don't. I read one or two books and then I move on. Just don't have patience I guess. I read Miss Peregrine as audio. It came with the photos as a PDF which I was able to browse through at relevant points. It's not the only book this has been the case for. I now read about 95% audio and find it harder to go back to print although the wrong narrator is a problem at times, especially for a much loved book. With series, I tend to go back and listen again from book one each time a new installment comes out to really be back in the universe. This is very important with fantasy, paranormal and sci fi, less so with historical romance which are the main series I read. It's usually a joy to go and live in that universe for an extended holiday.